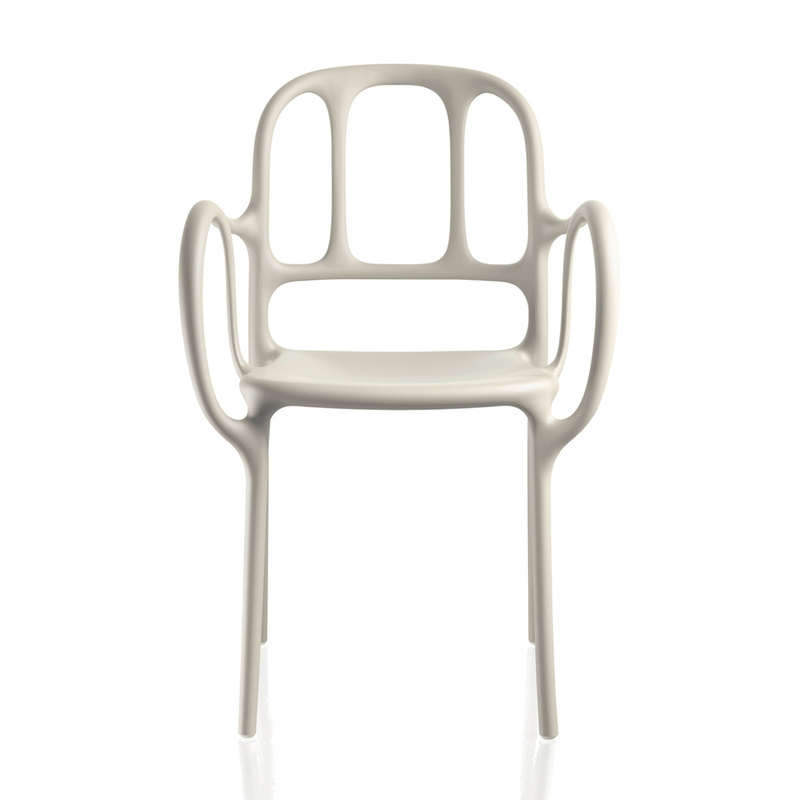 A modern style and sleek lines: these are the main features of the Milà chair by Magis. 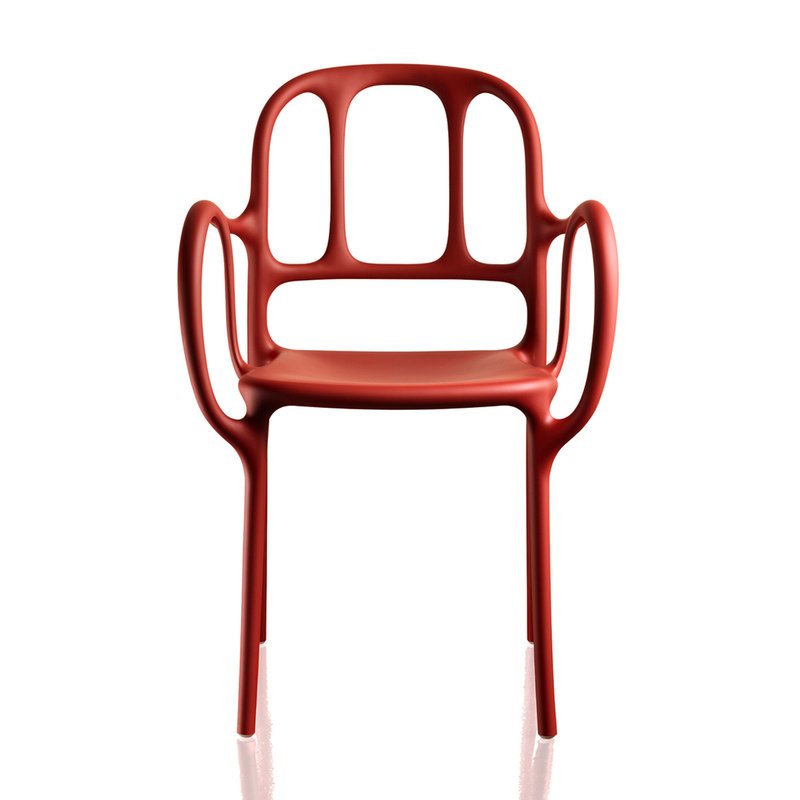 A functional and aesthetically beautiful accessory that will enliven your house in an instant, the Milà chair is made in fibreglass polypropylene, a wear-resistant material with a strong visual impact. 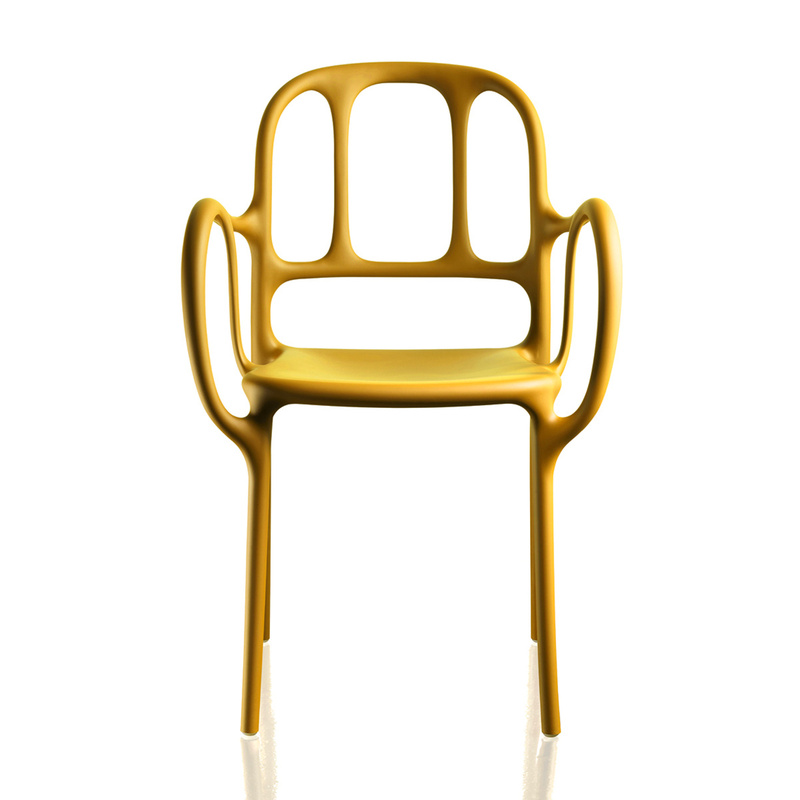 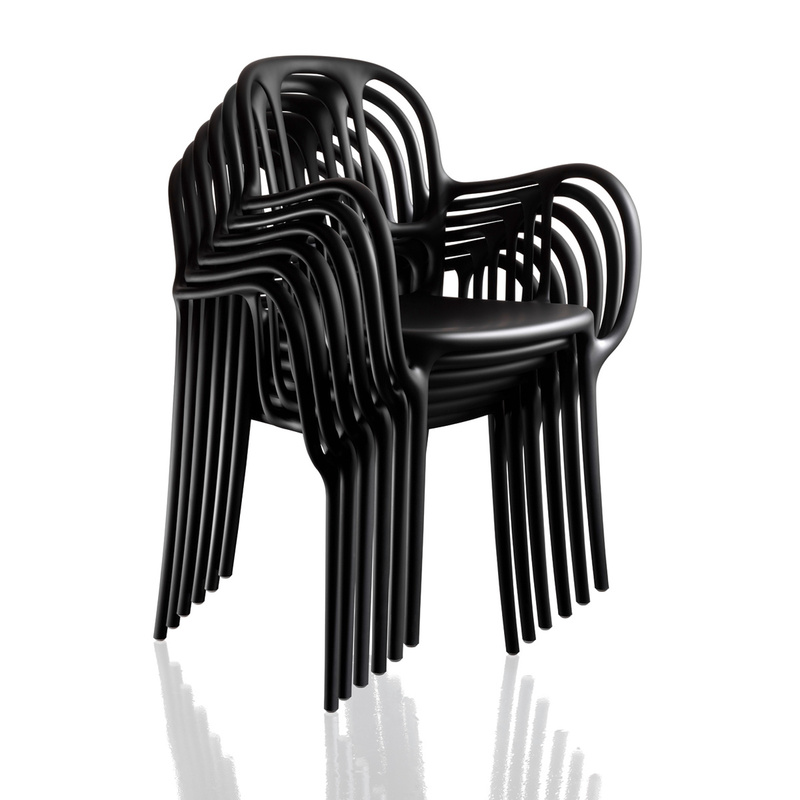 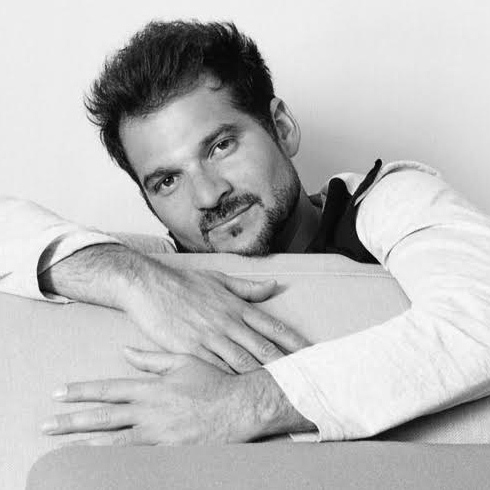 Designed by Jaime Hayon and owing its innovative character to the designer’s artistic experience, this chair features a sleek structure that can however bear a great weight, a square seat, an ergonomic backrest reinforced decorative rods, and 2 sleek and rounded armrests that allow you to rest in total comfort. 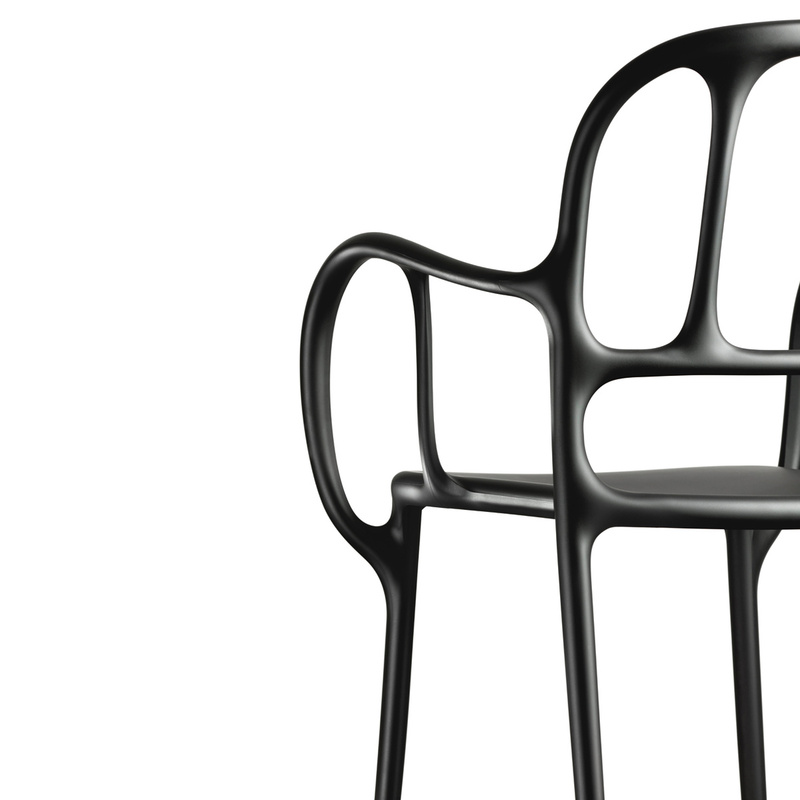 The fibreglass of the chair is processed through air moulding while a special colour procedure gives the item a glossy and silky finish. 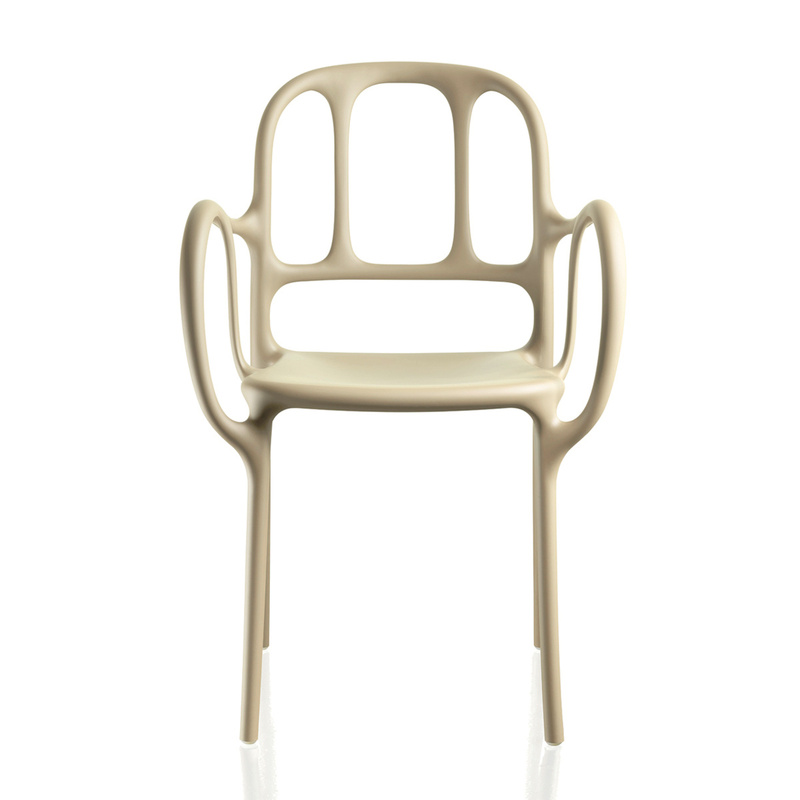 Beautiful and exclusive, the Milà chair is sure to charms you and your guests with its simplicity and comfort while its stylish and trendy design make it suitable for every room of the house – placed around a table or in a corner of the living room, Milà will welcome you home. 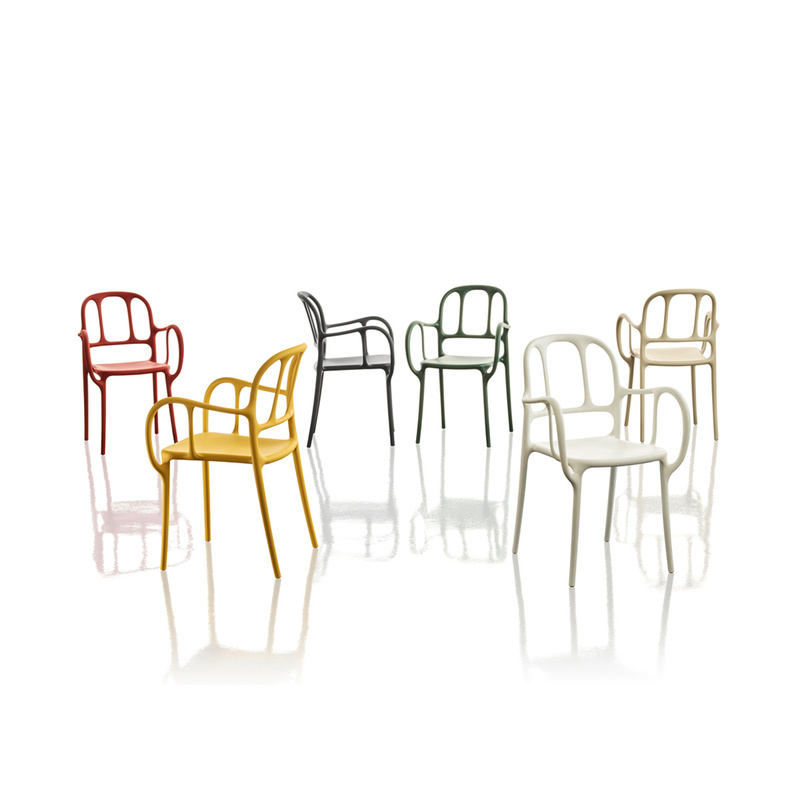 Perfectly suited to a contemporary or minimal-chic décor, this chair is available in a variety of vibrant and eye-catching colours: from an impalpable and ethereal white, to beige, to bright yellow and red, to a mysterious black. 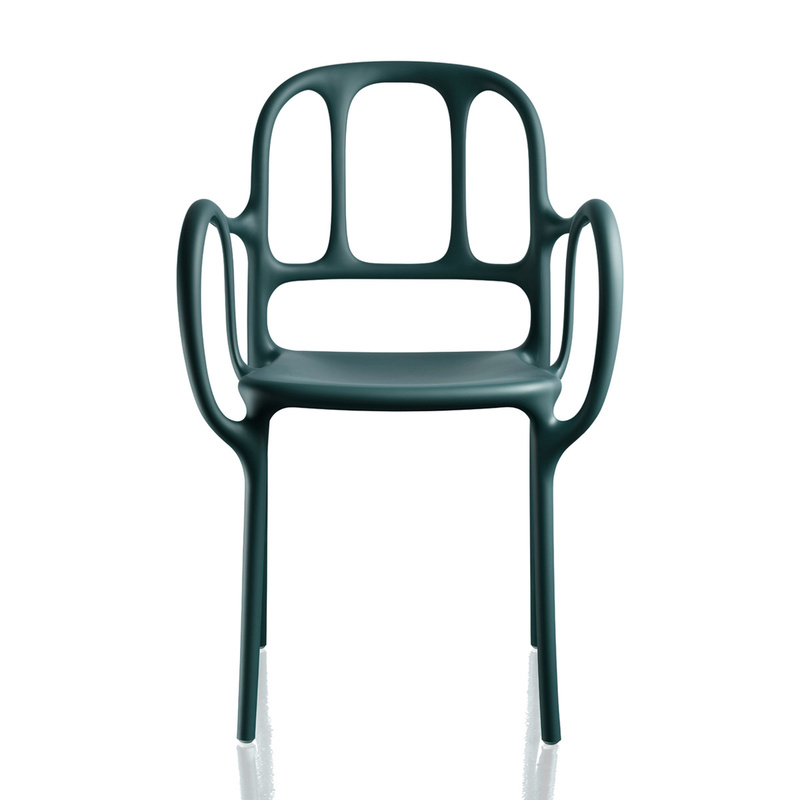 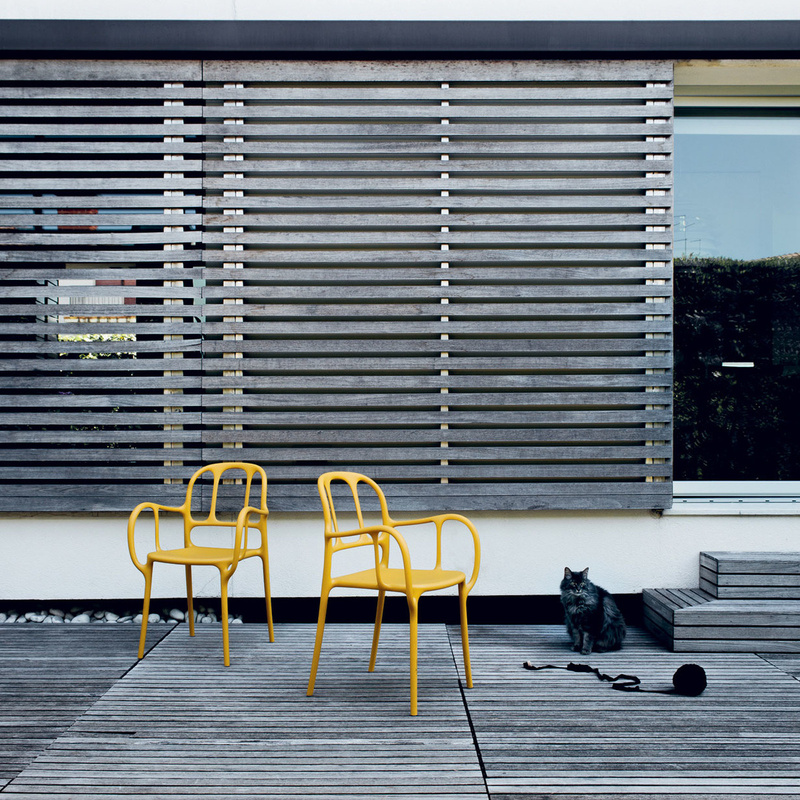 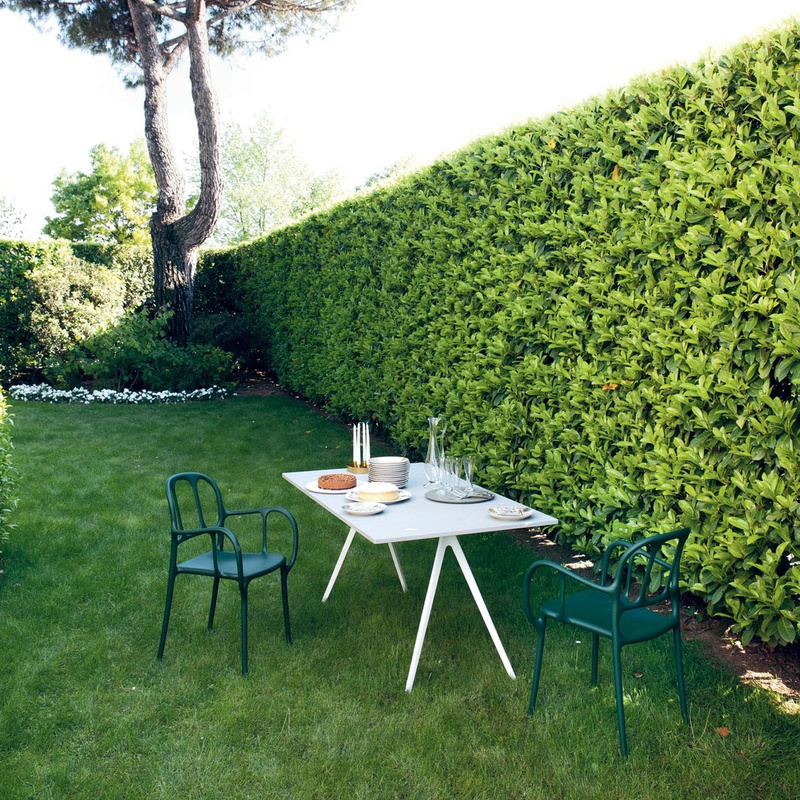 Enjoy hours of leisure on this beautiful Milà chair, a perfect accessory even for outdoor spaces. 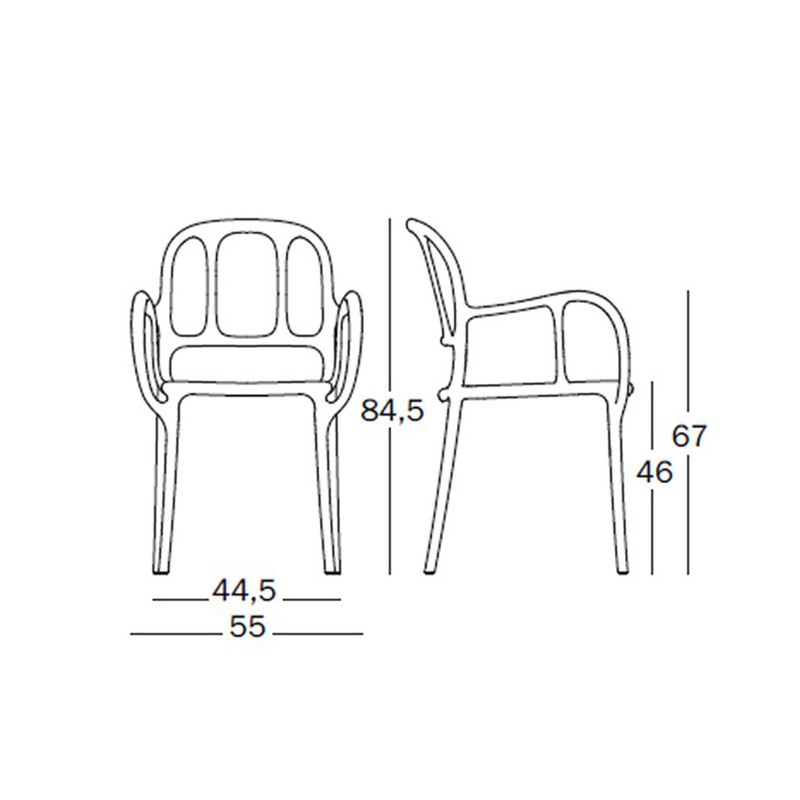 Information: This chair is stackable.